A few kids know from a very early age what they want to pursue as a career, and it turns out that their talents and interests match up perfectly. For them, career guidance is a non-issue, but for the vast majority of children, the opposite is true. My own experience was more typical. By the time I turned 20, I did not know what I wanted to do with my life, and I did not even have any clear understanding of the options available to me. I had a lot going for me – a good work ethic, a solid set of academic skills, no disabilities, no addictions, decent social skills, and some athletic and artistic talent. In addition, I was going to graduate from a respected university, free and clear of debt, thanks to my family. So, on paper, I had it all. But I was totally blind. I had no vision for my career. I was enrolled as a journalism major simply because I loved to write and keep up with current events, but I had just discovered that reporting was clearly not for me. My parents, for all their positive traits and overall support of me, provided no career guidance. I was on my own. So I went camping. What classes and activities have I always enjoyed and succeeded in the most? If I had to go to school for another four years, what would I want to study? What jobs seem pretty fun or at least reasonably enjoyable? Where can I help people the most? After an hour of conversing with myself on that hot rock, I was able to then talk it out with my camping buddies. I had a new path to explore: I could get a bachelors in English, get a teaching certificate for high school, and become a high school English teacher and maybe coach basketball or track. And for the first time in my life, I felt like I had a direction, and as it turned out, I was right. I would enjoy that career path. But why did it take an eleventh hour decision, and why was I out there on my own? In college, many of my friends were rudderless, like me. However, some of my friends were focused on a single path; in fact, some of them had been on that path for a long time. One knew he wanted to be an orthopedic surgeon. One knew he wanted to go learn both business practices and information technology (computers), so that one day he could run a large non-profit more effectively. Another knew he wanted to be a pastor of a large church. Another wanted to fly corporate jets. They each had a vision of their future, a strong sense of purpose and a source for everyday motivation. They had an advantage that I envied. They weren’t wasting time and money on unnecessary courses. They knew which guest speakers to attend and could listen with a focused mindset. They had a skill set in mind, and they could focus on sharpening those skills. And they each succeeded fairly quickly in meeting their goals, and then some. Wouldn’t it have been so much more productive to have a career path envisioned at the age of 16, instead of 20? In retrospect, I can say without a doubt that 20 is too late. 14 is about the right age for a kid to gain an idea of some career paths that would fit his or her talents and interests. Our kids will only benefit from early career guidance, as long as it is an honest running dialogue and is not overly prescriptive. Young children should be given opportunities to explore a wide variety of interests and hobbies. Then, as they grow, parents should help them identify and apply their talents in narrowing fields of study. 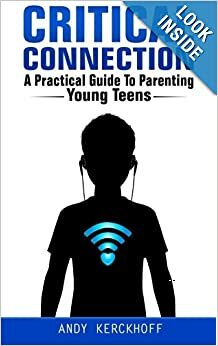 Use the internet to research what you brainstormed with your child. Watch TV shows and documentaries that reveal different occupations. Take a tour of a company. Point out all the occupations in a place and discuss their roles. Have your child shadow you at work – more than once. Talk about the positives of your work. Explain what you like. Discuss a dream job and all the supporting jobs that surround the dream job. Discuss wrong reasons to pursue a career. So, start a conversation today to get things moving. Don’t go too far, too fast. The tendency of adults is to have a fast, furious discussion that settles the issue quickly. That would be a mistake. Either the child would pick something too quickly without adequate reflection and guidance, or the child would feel intimidated and overwhelmed. So, go ahead and start talking with your kids at an early age, but take it easy. View it as a two-year conversation. Ideally, it would start at 12 and get somewhere by 14. However, completing the two-year discussion anytime before college is adequate. I have personally committed myself to making sure that my son knows exactly what he will major in and roughly what he wants to do as a career before he steps foot on a college campus as a freshman. I won’t make a college payment until he has a major that fits his talents and interests and will lead down a realistic career path for him. If that means, he takes a semester after high school to figure it out, so be it. But again, I want it settled years ahead of high school graduation, so we are exploring options and having discussions now, at 14. The goal is not to push your child to be an overachieving, ambitious little adult. It is not about manipulating your child into doing what you want him or her to do. Far from it. The goals should be to know your child and to help provide purpose and direction for his or her education and career. It’s about helping them grow up well and enjoy a satisfying and successful life. Reblogged this on Kim Bethke. Thanks for the re-blog. Feel free to share it as much as you like. Just credit the source. Blessings to ya.